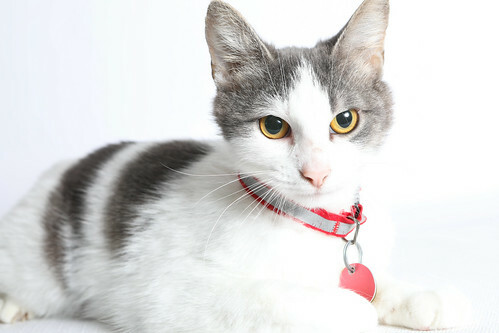 Description Summary: White she-cat with gray patches on her face and back; yellow eyes and short fur. Personality: More confident and skillful than her sister, Honeynose. Everything else is up to the adopter! History: Born in a litter of four to Lotusfur & Thistletail; the second oldest kit in the litter. Birth order was: Sedgekit, Cloverkit (f), Kitekit (m), and Honeykit (f). They were born during leaf-fall, and had two or three peaceful moons before greencough swept through camp. In leafbare, Honeykit and Kitekit were desperately sick. Kitekit eventually succumbed to the illness, but Honeykit pulled through. Honeykit was made an apprentice a week behind schedule due to the recovery process. Lotusfur & Thistletail have both joined StarClan, though lived long enough to see their ktis become warriors. Cloverspring's mentor and additional history is entirely up to the adopter.